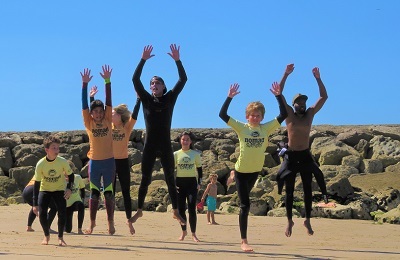 Caparica Surf Camp - Costa da caparica, Lisbon Guests overall rating: ☆☆☆☆☆ 0 based on 0 reviews. In the surroundings of the camp, there are bars, restaurants, a minimarket on a walking distance ( 5-8 min). The closest beach: Praia de São João it’s only 8 min walking from the camp while the others spots such where we go surfing are 5-10 min by car distant but still on Costa da Caparica. Pharmacies are located in the town center, 5 min by car while the closest petrol station and ferry terminal are in Trafaria at less than 5 min by car. If you have a car is highly recommended to have a round in Lisbon! The Portuguese capital is at only 15 min by car from the camp. 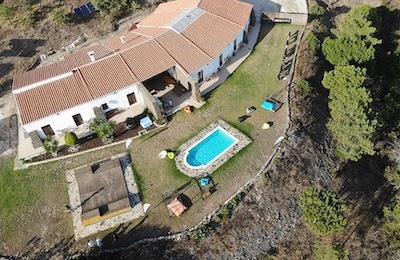 Several points such as of interest Cascais and Estoril are located all along the northern coastline (20-30min by car). On the south side, the Cristo Rei and Praia do Cavalo, 15 and 30 min by car from the camp. If requested, an airport shuttles. -or a bus from the airport to Praça de Espanha, then a bus TST from Praça de Espanha (line 158) to Trafaria. 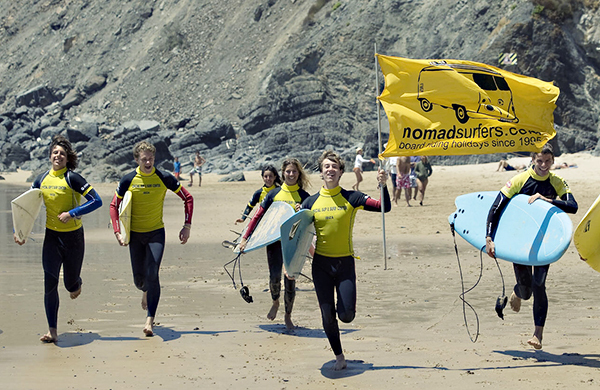 The Surf Camp focus is to provide great experiences to our guests. It’s really important for us, that you feel comfortable and happy as a guest. Every STAFF member is an experienced traveler and just like you, they’re searching for the next great adventure. So, you’ll be surrounded not only by great food and beautiful beaches but also great people supporting you in your Surf Journey! The Surfers Pack is for those lonely riders that want to enjoy the sea by themselves. Usually experienced surfers that want to enjoy the ocean all over the world but didn’t bring their surf gear. If you are one of those, you’ll get wetsuit and board! Stretch those elbows and back, train your Lotus position because in the package are included Yoga classes, either to warm up before a surf sesh or for all the moments you need to relax after! The KiteCamp focus is to provide great experiences to our guests. It’s really important for us, that you feel comfortable and happy as a guest. Every STAFF member is an experienced traveler and just like you, they’re searching for the next great adventure. So, you’ll be surrounded not only by great food and beautiful beaches but also by great people supporting you in your Kitesurf Journey! The Kiters Pack is for those lonely riders that want to enjoy the sea by themselves. Usually experienced kitesurfers that want to enjoy the ocean all over the world but didn’t bring their kite gear. If you are one of those, you’ll get everything you need to go with the wind! Stretch those elbows and back, train your Lotus position because in the package Yoga classes are included, either to warm up before a kitesurf sesh or for all the moments you need to relax after! Some people just want to enjoy a nice stay at the SurfCamp. Either they are with someone with a surf package or just want accommodation in order to enjoy the beach or go to the Lisbon Center. 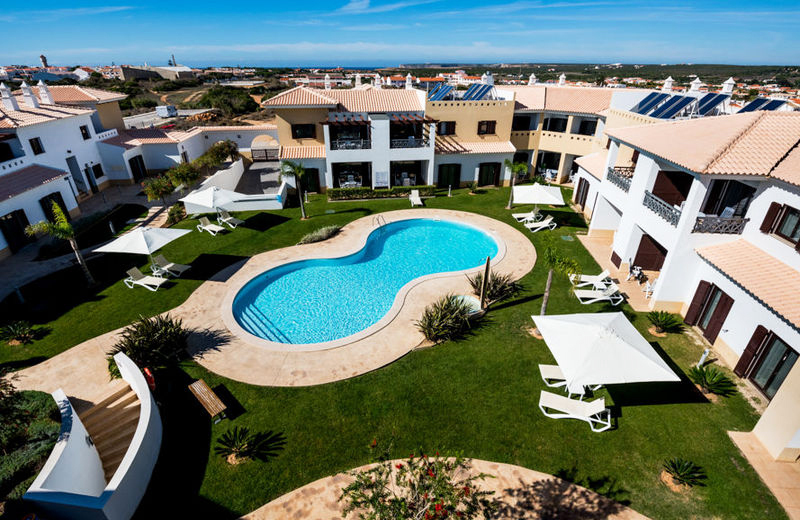 In the Beach Only package, we offer accommodation and breakfast, but you are free to join us along the ride both for surf or any other social activities that we promote, such as barbecue, going out in Bairro Alto, sunset sightseeing, and many others!